Today's outfit started with this pretty floral bib necklace. I thought it would really pop against a purple turtleneck. The festive background is a remnant from a retro cocktail Christmas party we had over the weekend. I will share photos of that soon. Check back tomorrow for a Le Mode Accessories giveaway! What a lovely necklace! The purple turtleneck is indeed the perfect way to offset it. That door with the paper on it is adorable, too. Can't wait to read more about your little shindig! 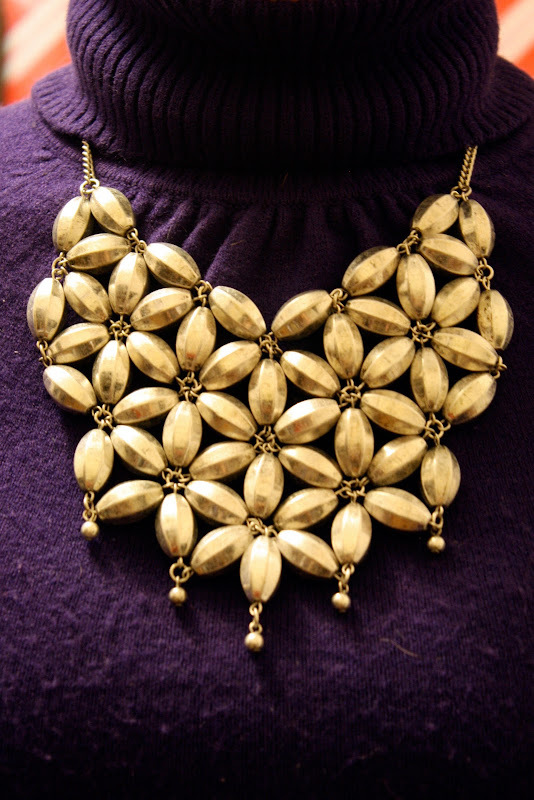 the bib necklace is beautiful..love it! I love that necklace. Very nice statement piece. Those trousers are amazing! What a great find! 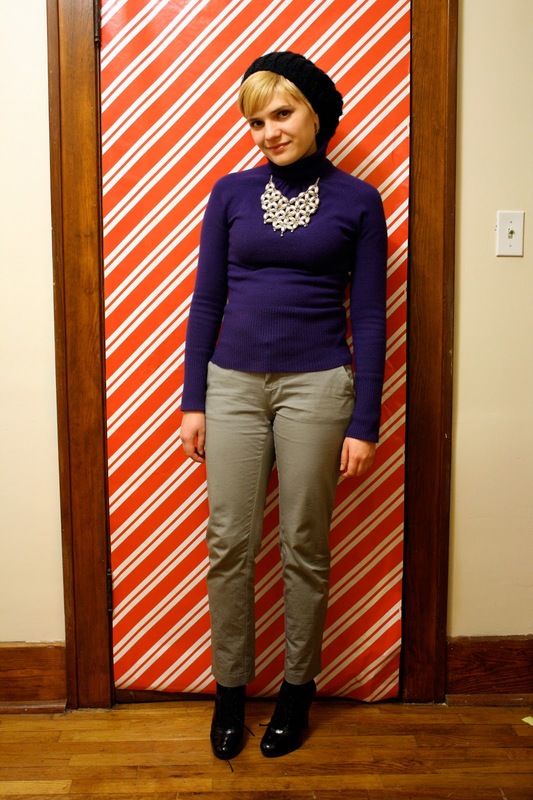 Looking adorbs with the candy cane backdrop :) Purple is a great color on you! !